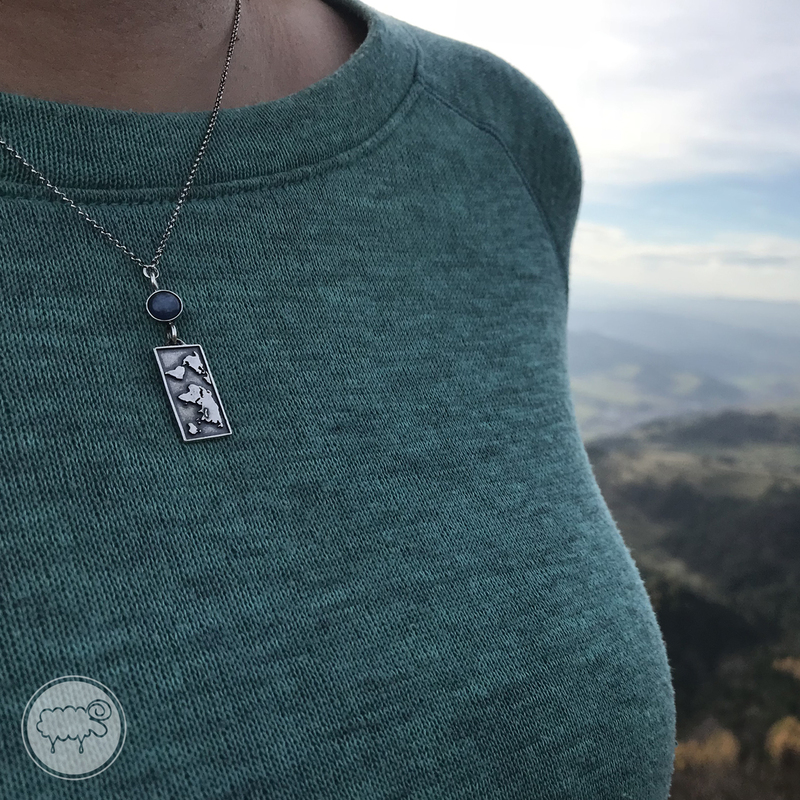 Necklace for those who love to travel close and far distances, made by hand with silver 925 fineness. 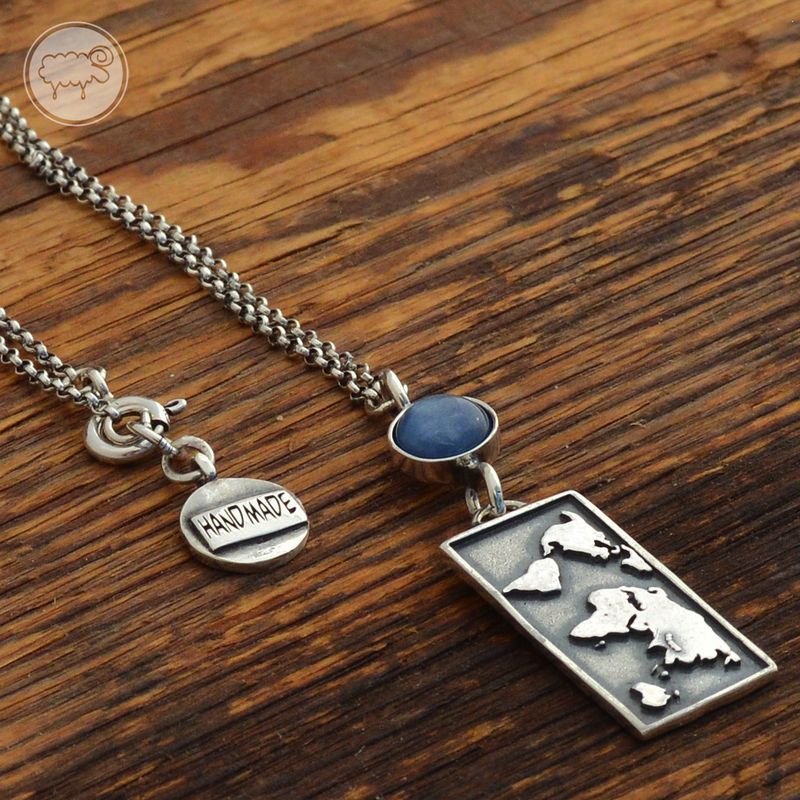 The silver map with dimensions of 20 mm x 10 mm is draped with a chain. 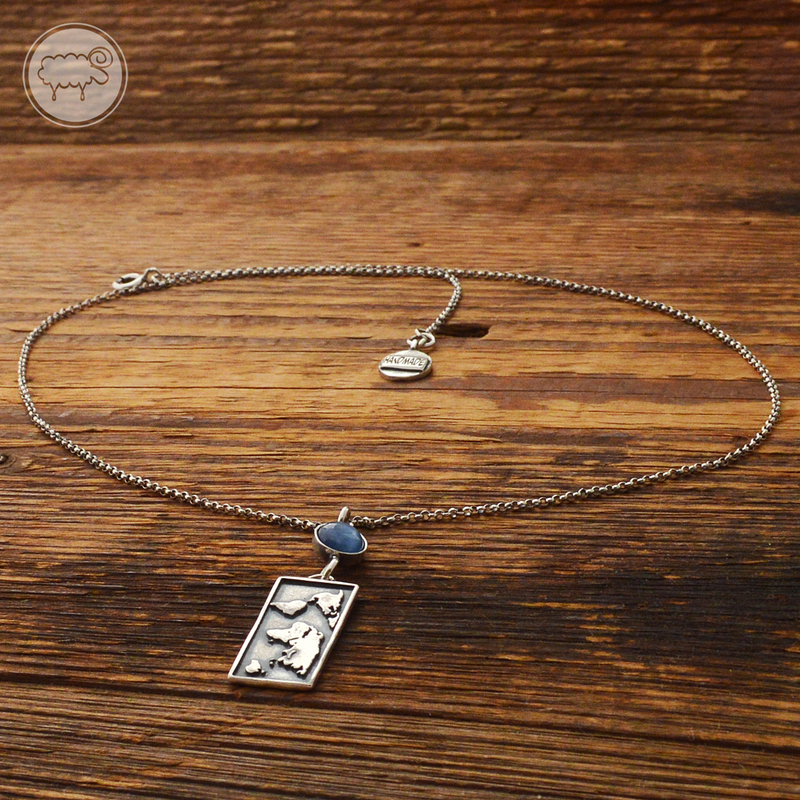 Necklace decorated with 5 cm diameter kyanite stone. 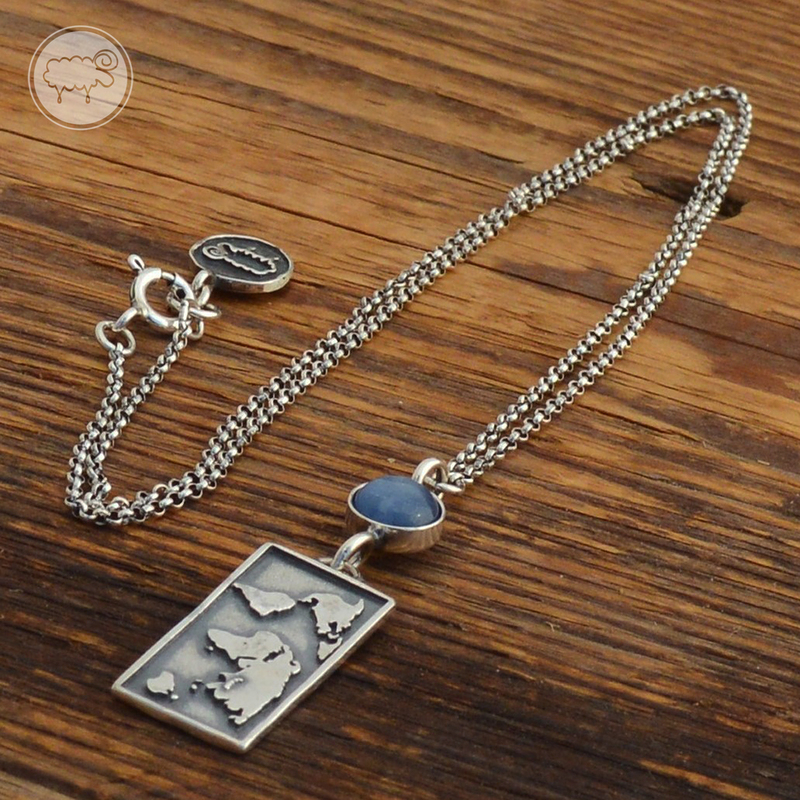 The whole piece was hand-oxidised and polished. The jewellery is packed into a fancy box. All the projects of jewellery are of our authorship. Standard length 43 cm (extension + 2 cm).